Our company is a professional supplier and exporter of packaging bag, located in Shandong of China. 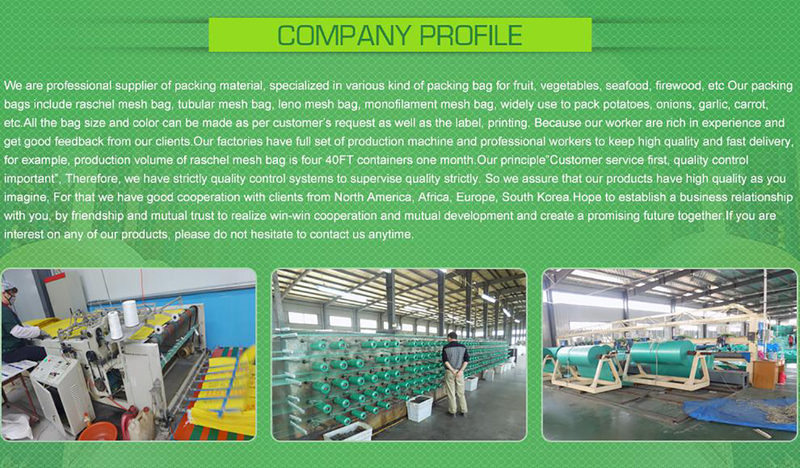 We mainly produce raschel bags、 leno bags、 tubular mesh bags、 monofilament mesh bags、 pp big firewood bags、 plastic vegetable net bag、 FIBC bag etc. This is mono mesh bag production process. All the bag's color and size can be made as per customer's request as well as the label, printing. Because our workers are rich in experience and get good feedback from our clients.